​BT: Sifu Albright thanks for taking the time to shed some light on your long and interesting career in martial arts, particularly Seven Star Mantis Boxing. Could you please tell us a little bit about your background? CA: I was born in New York in Harlem. My father was in the Army and was away a lot. At some point I got to travel with him and that’s where I began to meet and learn Martial Arts. My family is mixed with German, Spanish and Black. My family is mainly from Florida and Georgia. So My Mother and Father and my mother’s Grandparents are the only ones that came to live in N.Y. They all are deceased now. That means I have no relatives in N.Y. on my side of the family. Have you always been based in New York? No. I have taught around the states for example, I started the Knox Shaolin Gung Fu Assoc. That was based in Kentucky back in the 70s. I also had a school in Tong Du Chon Korea at one point. 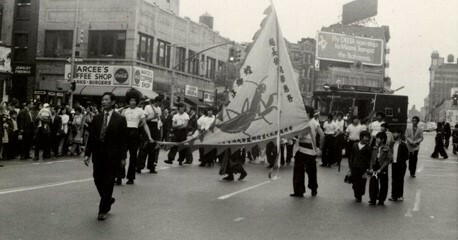 You are a member of the pioneering generation of non-Chinese Americans learning Kung Fu in New York? I believe you got your start in Eagle Boxing at a very young age. Is that correct? Actually, I started as a kid with 7 Star Mantis boxing and Pa Kua /Baguazhang with Choy Yuen Yee. He is more known for his internal training but also practiced Hung family boxing, 7 Star and Plum Flower Mantis, as well as the internal arts including Lok Hop Baat Fat/ Liu He Ba Fa. He introduced me to Chan Chun Yee (Mantis Boxing) and I learned from him for a short time. After that, since my dad was in the Army, I traveled a lot and learned whatever styles were around including Japanese styles. I got to enlist in the Army myself later and continued to travel and learn. I didn’t learn Eagle Claw until very late in my training.  Can you tell us how you came to specialize in Mantis Boxing? I have always been a mantis practitioner but back in the late 60’s and early 70’s softer styles were not respected or recognized by the Martial Art tournament community at large. So I began to use Hung Kuen (Hong Quan) in competition and that became a winning strategy. I won many fighting and forms trophies. Then I wrote a couple of articles for Inside Kung Fu about Hung Kuen so many people just assumed that’s what I did. I later wrote about Choy Lee Fut and Tibetan Lama. Although I helped others write about Mantis Boxing, I never actually wrote an article on Mantis Boxing myself yet. So in fact many people are not aware of the length of time I have devoted to the Mantis style. Around 10 years ago, I started to promote the Mantis style through teaching and online. So now it is reversing, people are recognizing me as a Mantis stylist and not Hung Kuen as much. You trained Tanglang right in the heart of Chinatown (Master Chiu Leun’s Mott Street school) at a time when not so many ‘gweilo’ were doing so. What was your experience like at a time when training was largely restricted from outsiders? Well, since I have always been an outsider all of my life, I felt no different than other schools I trained with. At the time Chiu Leun started teaching in America, it was very hard to open a school in Chinatown. Aside from gang controlled areas, other masters were known to close down schools. There are a handful of original Chinatown Masters that ran schools back then. Chiu Leun was one of them. Although it is known that Non-Chinese were not accepted as a general rule, I think most schools had at least one or two anyway. The most important thing was to learn some Chinese (Cantonese). This would impress the teachers and they felt you were somehow smarter and able to learn from them. Has the practice of styles such as Hung Kuen, Choy Li Fut and Tibetan Lama complimented or enhanced your Mantis Boxing? The training in the other styles has absolutely helped my understanding of Mantis Boxing. I have so much to relate the style to. The similarities and differences give me a better grasp of what exactly I am trying to achieve in applications especially. As a regular fighter in tournaments, theory and principles have to be brought from the chalkboard down to the floor. What other systems have you studied? I learned Hung Kuen from several teachers, Bucksam Kong, Choy Yeun Yee, Lee Tsaw Yin, Chan Hong Chun and Wan Chi Ming mainly. Bucksam Kong also taught Choy Lee Fut. I also trained with Lee Koon Hung the same Choy Lee Fut as Bucksam Kong. 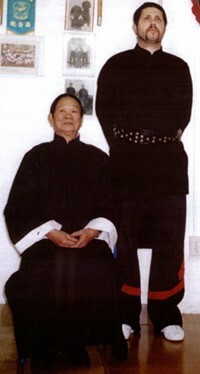 Chan Tai San (Chen Taishan) taught Choy Lee Fut, Tibetan lama, Mok Gar and Baguazhang. I continued my training with him being my final Sifu. Having many teachers has proven good and bad. Some teachers disavowed me others didn’t really mind so much. I practiced Wing Chun with Leung Hung Li (Gau Ji Fut Sao/ 9 Finger Buddah Hand) as well as some seminars with William Cheung as well as others from the Yip school of Wing Chun. The Eagle Claw I practised was from Shum Leung Ying Jow Pai School. During the last 5 decades, I have trained in Shotokan Karate (JKA) and Jujitsu under Professor Vee (Florendo M. Visitacion). I ran a school with Shotokan Sensei George Cofield (Tong Dojo) for several years. There are many tales regarding the exploits of Chan Tai San. By all accounts he seems to have been a formidable character. Do any particular memories stick out? Chan Tai San is Chiu Leun’s cousin. So I first met him at the Mantis school. He would hang around the school watching us practice and just visiting Chiu Leun and his wife. A book could be written about him alone but a few things stand out in particular. One thing is that the Tai Mantis form Siu Wan Kuen (small circular fist) is a form passed down by Chan Tai San’s room-mate Ma Gim Fung disciple of Sun Yu Fung. When they were younger, Ma Gim Fung and Chan Tai San would do street exhibitions to make money. Ma Gim Fung used to do that form in his demonstration. 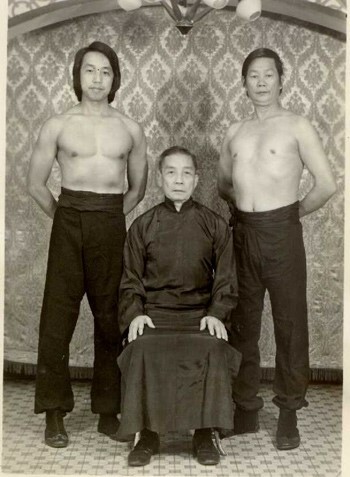 Ma Gim Fung was also one of the teachers of Wong Jack Man (the same one that fought Bruce Lee). Wong Jack Man’s brother Wong Jack Cheung was Chiu Leun’s close friend for many years. All one big family. Another thing is that Chan Tai San was attacked in the Times Square area and killed an assailant. Chan Tai San use to tell us about the Japanese invasion and his use of his training. He was a household name in Toisan. Many older folk remember his street demonstrations along with Ma Gim Fung. You are perhaps best known as the disciple of the late, great Sifu Chiu Leun (AKA Chiu Cheung Leun, Chiu Luen, Jiu Lun, Zhao Lun) of Seven Star Mantis fame. Chiu’s Tanglang is very interesting as he trained not only with village/clan ‘uncle’and Luo Guangyu protégé, Chiu Chi Man (Zhao Zhimin) in the early 1940’s, but also inherited some unique Tanglang from other sources. When Chiu Leun was about six years old – this was 1937, he was playing in the fields as usual and he saw a baby bird hopping around, trying to learn how to fly. Its movements attracted him and he followed the bird into the woods. There he met two other children – a boy and a girl - about his own age and began to play with them. After some time, an older man – the children’s uncle and a Buddhist monk joined them and they continued playing as before. After a while, the young Chiu Leun wanted to go home but was unable to find his way so the monk helped get him home. The monk and the boy and girl were from northern China. The rest of the children’s family had all been killed and the three of them had escaped to the south. I gather they were from Shandong? They were originally from Shandong. Their father had been the monk’s brother. They were living in the woods, collecting and selling medicinal herbs to support themselves. They also learned Chinese Gung Fu. The monk was practising to be able to return to the north and fight the people who had killed his family. A day or two later, the monk returned to Chiu Leun’s home and talked to his mother, saying that her son had a kind of affinity – a sort of uncanny connection – with him and his niece and nephew. The idea was that if she accepted, Chiu Leun, her son, would leave her home and go to live with the monk and the two children. It must be born in mind that, in addition to the fact that China in the 1930’s was a fairly lawless and dangerous place, this was the time that the Japanese – already occupying much of the north – were pushing south to extend their control. Ports were closed. It was impossible for all but the richest and luckiest to leave. Getting money from America was impossible. The opportunity for a small child to go into apprenticeship – tutelage, really – with a monk was not to be dismissed lightly. ​It seems that many families would take up such opportunities, if not to simply avoid starvation. This is true even today. In some parts of Asia, parents take their children to monasteries because they are better off being monks than be doomed to a life of poverty with the family. At least they will be fed and clothed. After returning one or two times, Chiu Leun’s mother agreed to have her son go and follow the monk and his two small charges. One of his jobs would be to help as an interpreter and guide the three northerners as they went. In exchange, he would learn the science of Chinese medicine - - particularly what is called ‘Diht Da’, treating injuries to the bones, ligaments, tendons and muscles and the 7 Star Praying Mantis style. They all lived in the woods, collected herbs and travelled to different parts of Gwangdung and the surrounding areas selling herbs, liniments and other medicinal preparations. All the time Chiu Leun was learning more and more Gung Fu; learning how to fight with his hands and traditional weapons. He was with the monk and his older gung fu brother and younger gung fu sister (si-hing and si-muih) for around ten years; until about 1947. The Japanese were gone but there was civil war in China between the Nationalists and the Communist armies. The older monk resolved to return to the north to take revenge for his brother’s family. He told Chiu Leun and his niece and nephew – all three of whom knew Mantis Boxing very, very well by this point – to go to Hong Kong. Did the niece and nephew remain involved with martial arts once in Hong Kong? We don’t know what happened to them. Since Chiu Leun only remained in contact with the monks, either he lost contact or they stopped practising. The monks later moved to the Hong Kong new territories. Chiu Leun would visit them there. The monks had many forms and were very heavy into palm training. Chiu Leun had very strong iron palm his whole life because of this. By the time Chiu Leun went to Hong Kong to learn from his uncle Chiu Chi Man, he already had learned the system. When Chiu Chi Man was younger, he was an eagle claw master. So some eagle claw was introduced into the mantis system. As Chiu Chi Man got older, he taught from the Kuen Po so later students didn’t get the eagle claw additions so much. Chiu Chi Man also said that Law Gwong Yuk (Luo Guangyu) liked to use some of the things he encountered at the Jing Mo (Jingwu). That is why we have the 14 roads for example. Influenced by the Jing Mo, Law Gwong Yuk created 14 roads based on the Tam Toy (Tantui) structure. He created them in an extremely short timeframe too, if the stories are accurate. In the Jing Mo, Law Gwong Yuk was sent there to teach instead of Fan Yuk Tung (Fan Xudong). At some point he was asked why he doesn’t have a basic routine for study like their 12 Tam Toy routines. In 24 hours, Law Gwong Yuk came back and said we have 14 roads / routines, two more than you. Upon hearing this, the Eagle Claw teachers, who had already been in the Jing Mo before Law Kwong Yuk got there, soon after said “we have 50 roads” (Lin Kuen). I believe Master Chiu was one of the first to teach non-Chinese in New York, correct? Yes. His doors were open to all. In addition he was a fair teacher, everyone learned the same thing. No favoritism. A truly great and open teacher. One that was blind to the color barriers that other teachers had in the old days. What were his defining traits as both a person and a master? He had a good personality. His strong presence was always felt. He was well liked in the Chinese community and many masters from all styles came to pay respects at his funeral. What did Master Chiu emphasise most in his teaching? Was he a ‘hands on’ man, or did he perhaps have a more theoretical approach? For example, was your study regularly supported by reference to kuen po (quan pu) or was this more something for advanced students only? He was one of the few teachers that actually sparred with the students on a regular basis. In addition, he coached us in class about fighting as we played hands almost every class. After class the brothers would go to a park and continue fighting and practising forms, sometimes for hours. The Kuen Po was only referenced to myself and the Chinese students from what I recall. There may have been someone else that could read Chinese, but by and large, Americans could not read any of it. In fact most American students did not know the name of many forms at all. This information came later as people got more interested in history, principles and so forth. That was common in many schools I came across in the old days. They would call the forms, FORM 1, FORM 2 and so on. Chiu Leun taught class always. So you would learn from him directly if you joined the school. He would get one of the Chinese students to translate for the Non- Chinese students to get points across. How was sparring introduced and trained in Chiu Sifu’s curriculum? What have been your own innovations in this regard? Since he fought with us a lot, we strived to learn how he fought and how to apply his teachings. It was a good way to learn actually. He was an excellent fighter and used only traditional techniques. In general, new people would spar with advanced students and that way they would get experience. We also learned a unique form of Da Saam Sing (hitting three stars). It was really an expansive matrix of arm strikes that led into many techniques. I have expanded on this idea to make it bridge for leading into real fighting. Also Chiu Leun’s approach to movement around the opponent and arm tagging has been expanded upon by me. Was protective equipment, set round times etc employed during training in the early days? Sparring went on for as long as you wanted. There was no such thing as protective gear. Not even gloves were worn. Even in tournaments fighting gear was a minimum consideration. Some people may have worn hand wraps as they do in boxing. The cushion safety gear used today hadn’t been invented. Even after it had been, most of the old school practitioners still did not use them. We don’t use them in my class even today. BUT, if a student wants to compete in tournaments, we have to make an exception because safety gear is mandatory these days. The students have to get used to the gear, so it can be used in class. As a rule though, no protective equipment is worn normally. In the 1980’s, I fought some full contact bare knuckle fights that were 3 minute rounds with 1 minute rest for 3 rounds total. Did you receive any serious injuries as a result? Yes! I still have a spot in my vision from a cut to the white of my eye. I have also lost many teeth. Plus many bruises, black eyes and dislocated shoulder. I was able to pull it together and keep fighting injury and all. Although I have been hit full force in the head many times, I have never been knocked out. Part luck and many parts hard training. Did qigong play a significant role in your training? Luohan Gong was largely neglected in many PRC families of Tanglang but effectively preserved under the descendants of Luo Guangyu. Chiu Leun loved the LoHan Gung (Luohan Gong). He practiced it up until his death and even his business card said he taught that specifically. Many students learned it from him and we still practice and teach it. Chiu Leun also taught other internal training methods. There was a sitting and a lying down Chi Gung (Qigong). He also taught the popular Baat Dim Gung (ba duan jin/ 8 piece brocade) and the Luk Lek Kuen (6 powers) iron body Chi Gung set. Additionally, he taught various Iron palm methods. Using bags, beans, iron shot and so forth. Breathing and alignment were important factors in this training. Some of this training also came from the monks. What were the favoured attacks of Chiu Sifu? No doubt you would have been on the receiving end many times over the years. Can you recall which were his favourite training methods, routines, weapons etc? He favored palm and open hand strikes more than closed fists. His grabbing and pressure point hitting is also memorable. He used all types of weapons but he always said his favorite was the double broadsword. When young in China, he used to sell items on the street. He used the double broadsword to attract customers. And also chase away anyone trying to rob him. While we’re on it, I’ll ask you what is becoming a staple question for all interviewees; what are your own favourite training drills, techniques, forms and weapons? My favorite form is Seung Chaap Fa (double stabbing flowers). It is not too long or too short. The whipping palms are great for not only strikes but to tag the opponents arms which lead to sticking and control. My favorite techniques are mainly trapping types of movements. The Three Sectional Staff (Saam Jeet Gwon) has been my favorite since I was a kid. When I first learned how to do the figure 8, I didn’t know how to stop. So I just threw the weapon across the school in a corner. I later learned to control the Saam Jeet Gwon in all types of movements. I learned several forms from different styles and I practice many of them still. Sadly, Chiu Shifu passed away in a terrible period for the Tanglang Men in which Masters Brendan Lai, Wang Yuanqian, Kang Zhiqiang and Yu Tiancheng amongst others, left the world. How greatly has the loss of someone so close affected your drive to carry on the work of propagating Tanglang? Chiu Leun passed away in 2006. As the old guard passes on, it is most important to keep the traditional arts alive. People today are latching on to “modern martial arts”. I have seen people call themselves “Sifu” after only a couple of years training. Other people learned a mantis form and say “I know the mantis style”. A form does not make a style. The styles have grown into something unique and important. Because there are so few of us left to pass on his teachings, I practice only his Mantis Boxing to the exclusion of all others. I also get together with my brothers once a year to have a moment of silence and have some type of memorial for our late Sifu. At his gravesite, the students played a form to honor Chiu Leun Sifu. It was his wish that we keep the style growing and we will do our best. It’s great to hear that his memory is still being honoured. It is an honor and a privilege. We are at a turning point where we are losing many of the masters of the last generation. What does the future hold for the traditions of our system? It is tough times for traditional Chinese styles. MMA and modern Wushu are the front runners for the new martial arts generation, Tai Chi being the exception. It still has a large following. Add to this the wave of Tae Kwon Do schools across America and its acceptance in the Olympics. Not to mention the politics that some seem to perpetuate. The old masters were the glue that kept new generations coming. The idea that you could train with an “old Chinese master” carried a lot of weight. I have had people tell me that they would only learn from a Chinese teacher. Movies bring some interest back, Kung Fu Hustle for example. But the public is still generally ignorant to the cultural differences. The new “Karate kid” for example was about a kid learning Kung Fu (and was billed as such in China “Kung Fu Kid”). South Park had an episode where a Japanese Sushi place opened up next to a Chinese restaurant. In order to show appreciation to the new “Chinese” community, they called that area “Little Tokyo”. They were pointing out this ignorance. We are in for a long haul. All we can do is try to help each other and not knock others just because their style is different and ours is the “right” way or other political nonsense. Now is the time for traditional stylists to come together. Not only is the issue of the loss of living treasures a grave one, depending on one’s perspective, traditional Chinese martial arts itself (at least in the West) could be percieved as under threat due to the pervasive influence of MMA and combat sports in general. What is your position on that? I should point out that you yourself have extensive experience in combat sports, having fought full contact throughout the 70’s and 80’s. Combat sports are the new “thing”. It was Judo, Karate, Kung Fu, then Ninjitsu, Tae Kwon Do, BJJ, MMA. There will always be people that latch on to the newest thing. How long will this one last? Who knows? There is a lot of money behind it. More than ever before. So the marketing experts and money men will do their best to make MMA the new WrestleMania. But how many times can you punch a bag? Or wrestle with someone? Or Cross Fit train before you realise that there is got to be something more. Hopefully when the shallowness fades, people will be ready to learn a deeper art. Sure people want to look fit and trim when they are young, but what about when you get a little older? Traditional Chinese martial arts will not only help you live longer but live better. So while I don’t have anything against MMA really, I know there is a place for it. But I think it is the beginning not the end of training. Back to your own fighting days – I believe a lot of it was basically equivalent to NHB competition right? Or are we talking straight out old-style challenge matches? I fought in many No Holds Barred fights. There was little oversight in most tournaments in the old days. Even in “point” tournaments, there were people that were known as “head hunters”. They just wanted to hurt somebody. They didn’t care about a trophy or getting eliminated. But, if you got punched in the face, the judges would talk to you before eliminating the opponent. They would try to convince you to “get him back” and not chicken out. They didn’t want people to win by elimination. If you didn’t fight everyone would laugh at you and tell you to enjoy the trophy while you are in the hospital. I got hurt lots of times but never quit. Even after the tournament, fights sometime would continue on the streets. I fought a guy one time because he didn’t like the score I gave him in forms competition. He couldn’t fight very well so it was an easy one that day. But challenges were common in the old days. A free trip to cloud nine. You also served in the military in Asia, simultaneously training and competing too? Yes. I was on the Dragon Valley kickboxing team in Korea. This was a Muay Thai team. I joined to get tougher training at the time. I also competed all over in those years. Korea, Japan, Taiwan. I was able to travel for free with the Air Force even though I was in the Army. They called it a military hop. That would have been fairly early days as far as American involvement with Muay Thai. Were the coaches Thai trained? Yes. The trainers were from Thailand and most of the fighters were Thai. The little guys were the best. Very fast but still the bigger guys could take more punishment. I cannot recall my sources but I believe I once heard that you also met both GM’s Chiu Chi Man and Wong Hon Fan (Huang Hanxun) in person during your service in Asia. Is that correct? Sure. Wong Hon Fan was the most famous master at that time. His books were everywhere, Korea, Japan, America. So I wanted to visit his school to meet him. I only got to meet him once. He died a couple of years after I met him. I was lucky to meet many famous masters in my lifetime. Chiu Chi Man was famous to me because he was my Si-Gung. A few of Chiu Leun students got to meet him. I recall that there was a move on the part of your classmates and yourself to compile materials and consolidate research on your family’s art approximately ten years ago. Is the Northern Sil-lum Temple Seven Star Praying Mantis Association still in existence? Are any of your brothers still actively involved in promoting Chiu Leun’s Tanglang Quan? A website has been established for the brothers to contribute and share their own personal experiences. www.chiuleun.com Also to add to the research of his records. We have a lot of notes and things that were left when he passed away. I also recall that you once had plans to release a book. Is that still in the works? I want to do it. But I want to do it the right way. Not just a little paperback book but a real big book encompassing most of our material. Time and money are the issue there. But it is an ongoing project. Hong Kong 1964. Seated either side of Chiu Chiman are the '2 Big Brothers', Chiu Leun and Leung Hung. ﻿​Although (being a lifelong hip hop head) my view of NYC is probably as romantically tainted as many kungfu practitioner’s view of Shaolin Temple is, it certainly must have been an intensely interesting and at times testing environment to come up in. I saw the B-Boy movement from the beginning. I think that it was better to hear about it then to be around it. Violence is not a pretty matter. Gangs and drugs are part of the street life. Music and dance are the good things to come out of it. It is good that Hip Hop is being recognized these days as it was a long time coming. From my limited time there and contact with native New Yorkers over the years, I get the sense that one’s ‘New Yorkness’ pervades everything, kungfu included. How has being raised in that environment, particularly in the rougher pre-90’s years shaped your martial arts? How have your surrounds and life experiences informed your training and teaching? Being a New Yorker is indeed unique. You have to walk a line between having an attitude and knowing when it’s not cool to use it. On the subway, people have been shot after a simple “What are you looking at”. But that same guy may give an old woman his seat. With the introduction of hand held electronics, everyone has something of value. A cell phone, iPod, iPad, notebook, something. That is quite different from the old days when it was just about money. You may or may not have much money on you, but an iPad is worth a few hundred bucks. People don’t leave their doors unlocked anymore and a car has been stolen after even a couple of minutes from being left unlocked. Yes, there is crime but you have to do things to guard against it. I teach all this to my students in class. It’s not enough to know about things, you have to practice them also. So we have drills seated as if you are on the train. Or when turning a corner you always keep a hand up to your head. And if you get into a fight, don’t take a stance, just put up your hands palms out and say, take it easy. Meanwhile your hands are up and ready to go into action. In class we have two on one sparring. Three on one sparring and a free for all, anyone can fight anyone. Although I understand a significant chunk of Brooklyn has now been gentrified, there are still plenty of places in the borough that are not exactly the friendliest places to grow up. I gather you have had your fair share of rough kids coming through your school over the years? There were a lot of gangs in the old days. They have gangs today but not as many as before. The Bishops and the Chaplins, The Ghetto Brothers and the Jolly Stompers, the Baldys, Street gangs of Cambridge, the Crazy Homicides and the Nits and so on. Every gang has “colors” and you could get into a fight just by having on the wrong colors just like today. Crips and Bloods are in New York now. They have to cut somebody to get initiated. So you can be a random target and you have to be aware of this. Martial Arts kept me out of gangs, jail or worse. Did you notice a surge in popularity of Chinese martial arts after the massive injection of ‘Kung Fu culture’ into the mainstream by artists such as Wutang Clan and earlier groups such as Brooklyn’s own Fu-shnickens in the early 90’s? Obviously their take on martial and Chinese culture in general was largely misguided, but still, surely it piqued the interest of a lot of kids? In a way anything that goes main stream helps the interest in Martial Arts. Most of the hip hop martial arts connection was to the Kung Fu movies. But I use to notice more student interest when a new Kung Fu movie would come out. One of the problems with Chinese Martial Arts is that they are hard. Karate is much easier to learn, so instructors need to dial it back a bit when they get approached by new prospective students. It can be quite overwhelming to them. As mentioned, a lot of New York kids grew up on Shaw Bros, Golden Harvest and other Chinese cinema staples. Before its influence manifested in the music, B-Boys were taking traditional moves from these movies and applying them with a high level of skill. I’ve heard it said that some directly incorporated Kung Fu into their B-Boying, particularly evident in uprocking. Did you by any chance indirectly contribute to this phenomenon by teaching such kids? A lot of them were naturally gifted but some had a bit of training. It was common in the old days to find somebody to “work out” with. If they knew a lot, they would show their stuff around. But a lot was from the movies. Kids use to cut a broomstick in half and make home-made nunchucks as they use to call them. Many became good without any prior training. Some kids did gymnastics in school and this was added into the whole B-Boy movement. The rest was just sharing knowledge on the street. A lot of guys became good due to necessity. Dancing in the street was the only way they could earn a few bucks. So they walked around with cardboard to dance and do groundwork on. It was developed in the Bronx but soon everyone was doing it. I taught at community centers for a long time. It was a free class to help kids in the Brooklyn area. Lots of them came from the projects and from families that were poor or just not doing well. My family was poor so I could identify with them. This is part of the reason I never made much money teaching. I teach for the love of the Martial Arts not the money. So while I charge for classes, I have always helped students that lost their job or had other difficulties. So yes I did teach many kids that I don’t even remember now. But I know some of them were into the B-Boy culture. As far as I’m concerned, by helping those kids you are teaching in the true spirit. Care to relate any street fighting/self defence experiences? Has Tanglang ever saved your skin? One time in particular was on the DMZ in Korea. We were in the buffer zone between North and South Korea. I was a Spec 4 and there was a Captain with his second lieutenant and a couple of other soldiers. We were attacked by North Koreans in an open-backed pick-up truck. We had no weapons, except the captain who had a 45 pistol. The guys that attacked us used pitchforks and machetes. The captain and the lieutenant were killed but the 2 soldiers (also were my students) we all fought off the 5 attackers and they got back in the pick-up and drove back to the North. They almost started a war but it was somehow negotiated. It did make the papers because people back home told me about it. Another time I was jumped in an apartment complex. I got shot in the wrist but was able to knock one guy down the stairs and the other got a broken finger. They were caught later by the police. Damn! Not sure anyone’s going to be able to top that. You’re lucky to still be here. We probably all are in fact, as there’s no doubt that DMZ incident could have sparked off a pretty dramatic chain of events. The alert was sounded and everyone geared up but some sort of diplomacy was found to be effective. Less than a year later general Brady’s chopper was shot down. But he was uninjured. Again the alert was sounded and we geared up for war but again they handled it through the talking heads. The alert was this long sounding horn/siren/ air raid type of thing. When you heard it you stopped what you were doing and ran back to get your gear. They would also have the alert sound once a month but you didn't know when. Like a fire drill. I very much appreciate you taking time to share your story with us. I am a firm believer that our Kung Fu is flavored by our personality, which is of course, in turn shaped by environment - hence my interest in that aspect. I could keep drilling you for more stories, as there’s no doubt that we are only just scratching the surface, but I think our readers should by now have a much better picture of what you’re about. Do you have any final comments to leave us with? I guess the main thing would be the wish to come together as martial artists. Get rid of the politics and backstabbing. After years involved in the arts, I can assure you that you are not going to convince anyone to change styles even if you beat them to a pulp. Martial arts are a personal choice and because of this, what is good for one is not good for another. In the end we all have a little time to do so much and the martial arts is, in the interim, a journey. One of many that a person can choose to take. I have chosen to take this journey and I feel blessed to have found the many teachers, students and friends along the way.